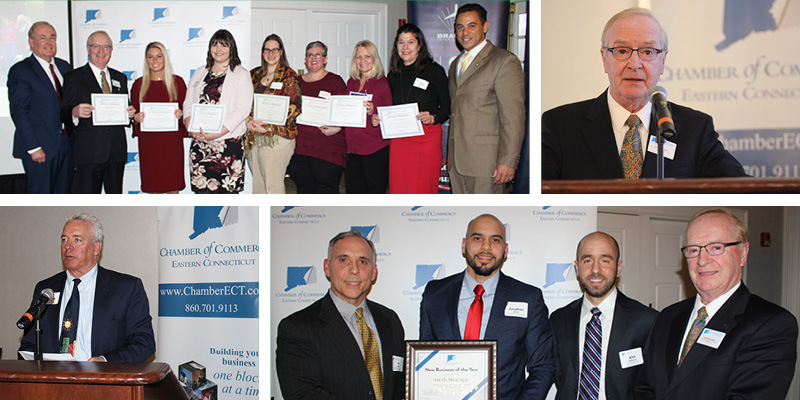 On March 27, 2019, the Chamber of Commerce of Eastern CT was pleased to recap a year of successful 2018 activities, and share our vision for the future, at our Annual Meeting and Awards Reception. Over 230 regional representatives maxed out the meeting space at The Spa at Norwich Inn, demonstrating the breadth and importance of the Chamber’s work. Official business included Board elections, finance updates, and a report from our Foundation. We welcomed 17 new Trustees to our 93-member Board of Trustees, made up of local leaders elected by our membership, as well as 18 members of our Board of Directors. This year’s meeting was marked by several new components, and emphasized our ongoing efforts to strengthen partnerships with regional organizations. We recognized some of the region’s first “certified tourism ambassadors,” individuals who completed the Connecticut Tourism Coalition's "CHAT" (Connecticut Hospitality Awareness Training) program. The Chamber is a partner to the Coalition, and is currently developing the regional component of this program. Rodney Butler, Chair of the Mashantucket Pequot Tribal Council/Interim CEO of Foxwoods (as well as our Citizen of the Year) and David Quinn, President of Quinn & Hary Marketing and Secretary of the Coalition, presented certificates to five Chamber employees and two Foxwoods employees in attendance. The Annual Meeting also marks the conclusion of our Board Chair’s term: we are grateful to our 2018 Board Chair, Al Ayers, Director of HR for General Dynamics Electric Boat, for his hard work and dedication to serving our membership throughout the year. The Annual Meeting was followed by a networking reception, complete with delicious specialties (from a creative pasta station to a towering donut display) by The Spa at Norwich Inn. 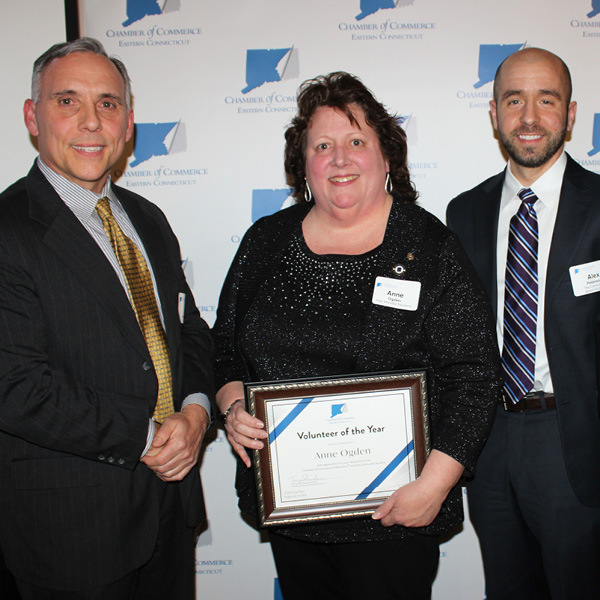 Last, but certainly not least, we thank YOU, our Chamber members. We are all incredibly lucky to live, work, and play in such a positive, well-rounded region of the state.